These models are natural casts of a male, boney pelvis. They both show all anatomical structures in detail: both hip bones, pubic symphysis, sacrum and coccyx as well as the fifth lumbar vertebra with intervertebral disc. A median section has been placed through the fifth lumbar vertebra, the sacrum and the coccyx, so that the pelvis, which is held together by practical magnets, can be split into two halves. This means that part of the cauda equina is also visible in the vertebral canal. 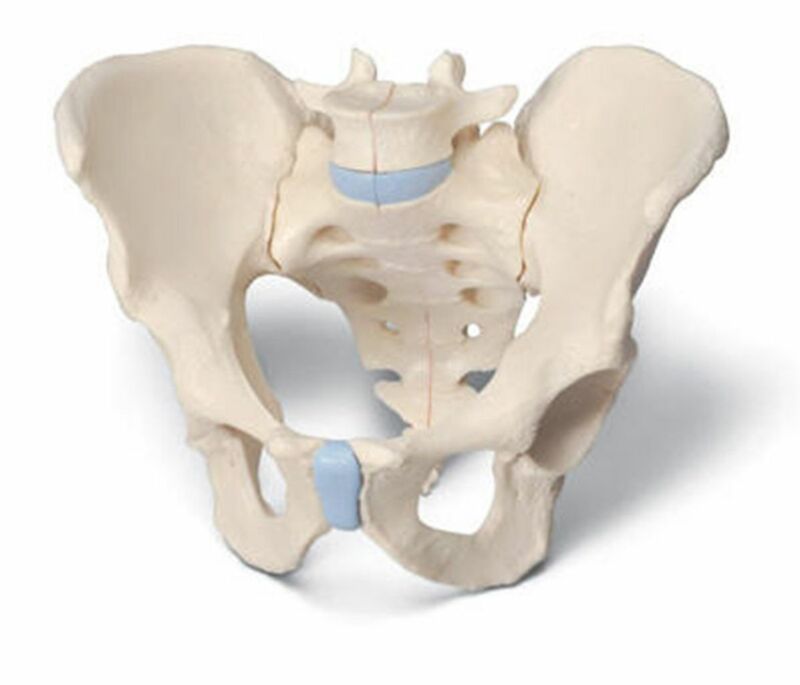 The left half of the fifth lumbar vertebra is held together by magnets and can also be removed. 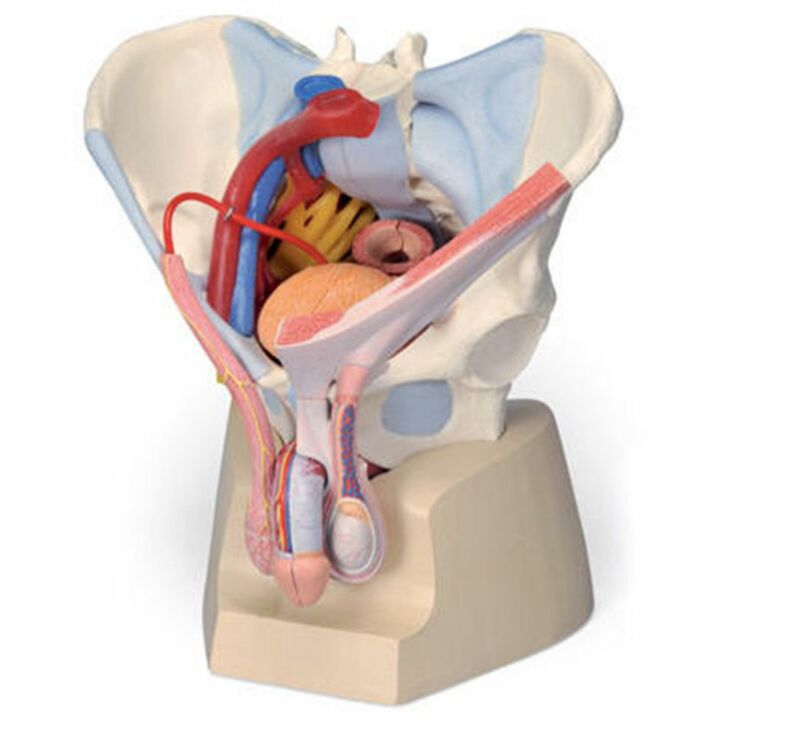 For additional details the 7 part model also includes Ligamentary structure, pelvic floor musculature, interior and exterior reproductive organs, artery, vein and nerve pathways.